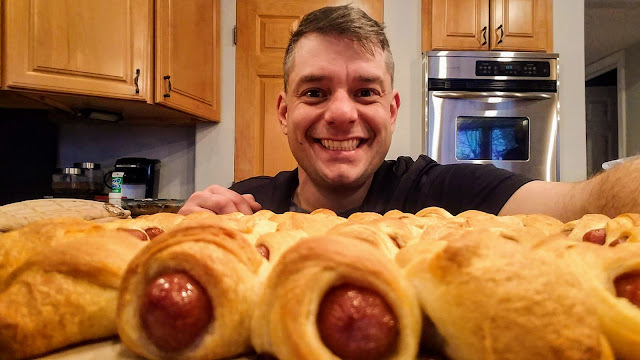 HelluvaCook.com! : Pigs In A Blanket!! 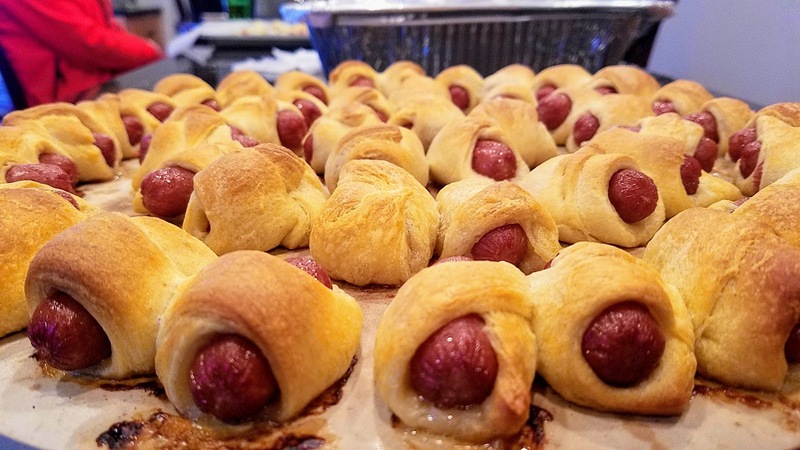 My cousin's wife and I whipped up a big batch of Pigs in a Blanket just before their Christmas party got rolling! 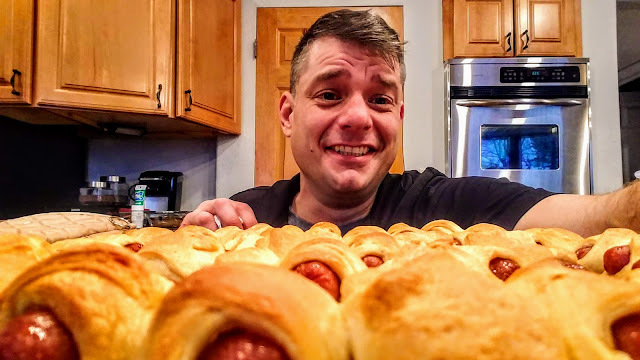 They're quick and easy to make, but I forgot to get pictures of the process! 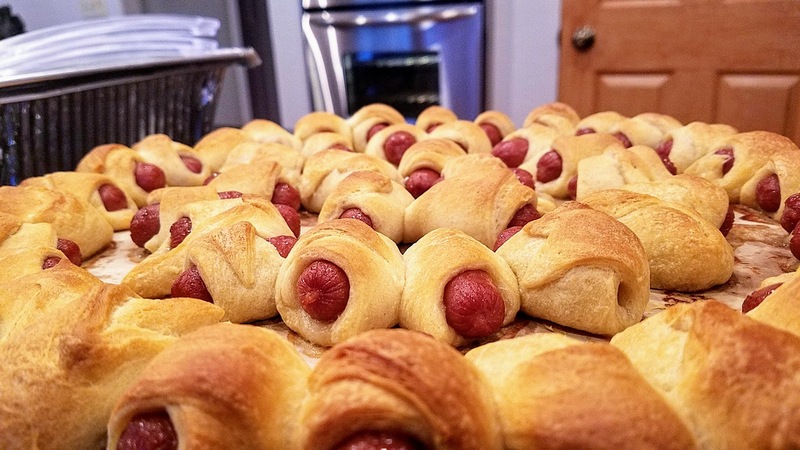 Grab a big package of cocktail wienies and a few tubes of crescent rolls! 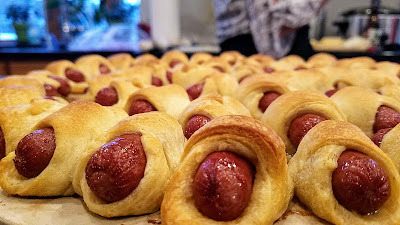 Unroll and cut the crescent rolls into 3 or 4 triangular pieces, then get to wrapping! Always make 2x as many as you think you'll need! If you're lucky, there'll be a few left to gnosh on, should a late-night munchie session arise!